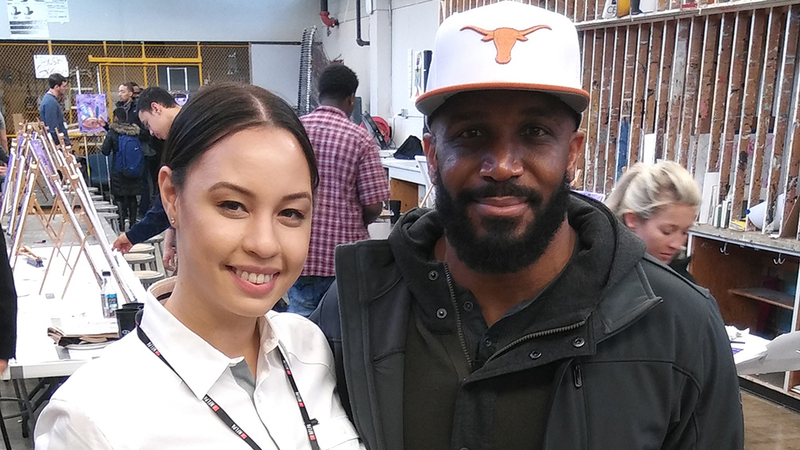 Former NFL players, celebrity artist Kat Tat will paint with local high school students in Minneapolis during Super Bowl week. 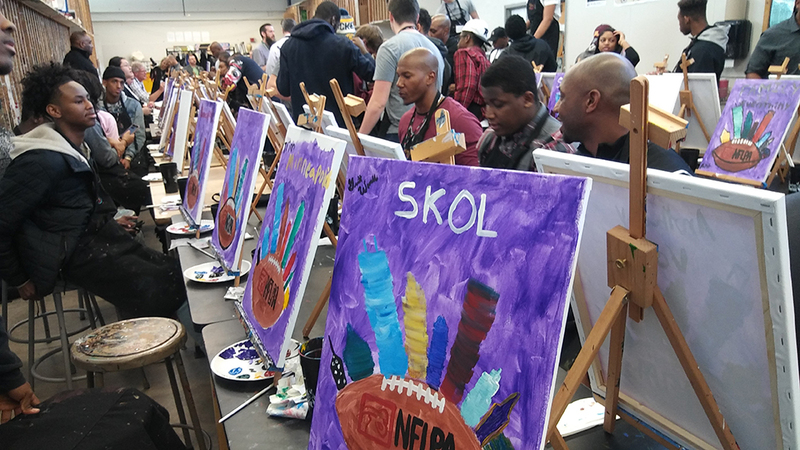 The Professional Athletes Foundation is excited to host the second annual “Smocks and Jocks: Painting With the Pros” community event during the week of Super Bowl LII. 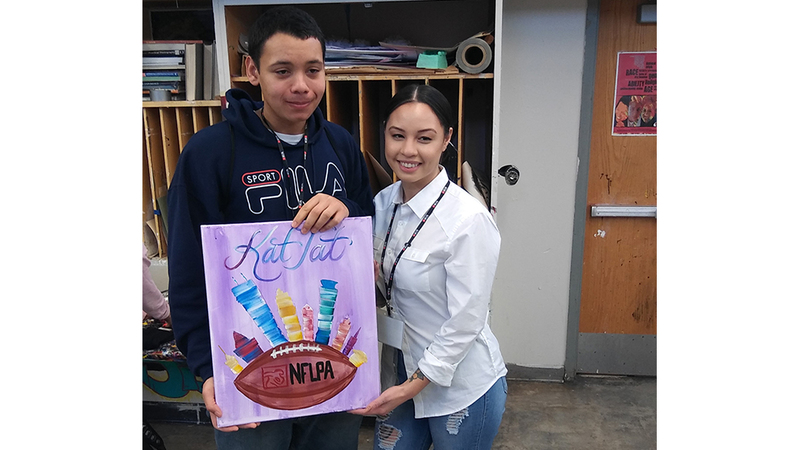 PAF, which is the charitable arm of the NFL Players Association, will hold the event on Friday, February 2 from 9:30 to 11:30 a.m. at Roseville Area High School. 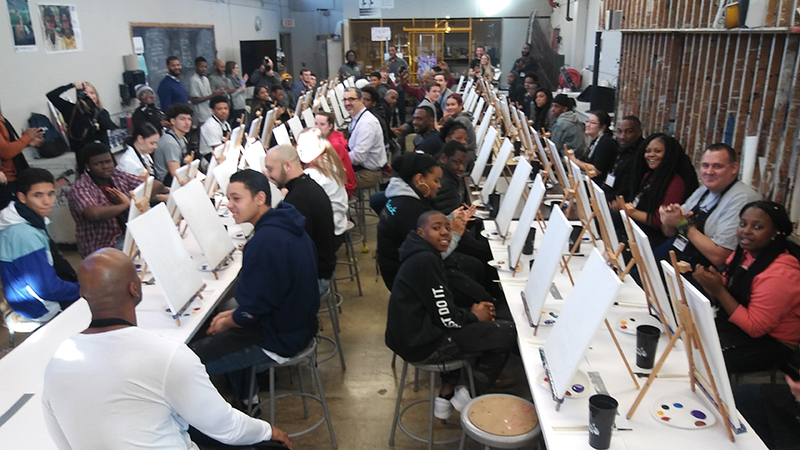 On hand will be several current and former NFL players, including Super Bowl-winning defensive back Duane Starks, as well as special celebrity guest artist Katrina Jackson, better known as Kat Tat from the VH1 show “Black Ink Crew: Chicago. Also, a talented artist from the Painting With a Twist Roseville location will be leading the instruction. 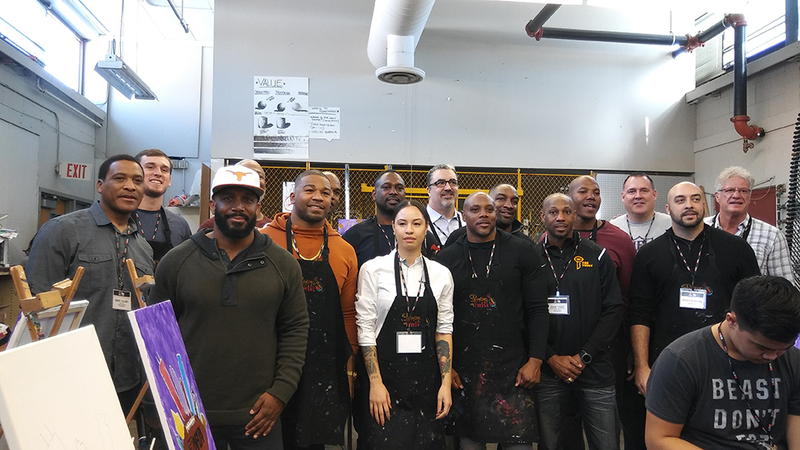 As an extension of the partnership forged between the NFLPA and Painting With a Twist, this year’s event looks to build off the success of the inaugural “Painting With the Pros” in Houston in 2017. WHEN: Friday, February 2, 2018; 9:30 – 11:30 a.m.